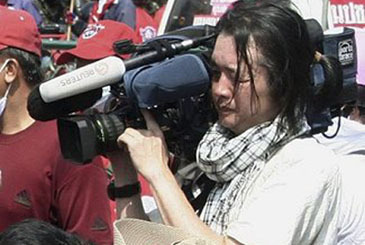 The death of Reuters cameraman Hiro Muramoto in Bangkok on April 10, 2010, while filming the violent anti-government protests, is a tragedy and a loss to the media fraternity. 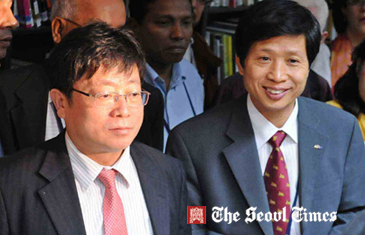 AJA offers heartfelt condolences to the 43-year-old journalist’s family. We laud Hiro Muramoto’s professionalism in carrying on filming even as explosions and gun fires erupted around him at the Democracy Monument. Alas, he fell a victim in the cross-fire between the “red shirt” demonstrators and soldiers, with a gunshot wound to his chest. The fighting in the streets also killed 20 and injured more than 800 people. Hiro Muramoto left behind seven minutes of video footage of the running battle between the protesters and soldiers. AJA joined the international media community in asking the Thai authorities to investigate the circumstances that led to his killing. Concern has been raised that Hiro Muramoto might have been shot deliberately. We deplore any targeting of journalists who put their lives on the line in reporting from the frontline of conflicts. We urge the parties concerned to recognize and respect the profession of journalists who strive to capture the drama of unfolding news and events, as non-partisan and non-combatant in the arena of peace and war.